Hark! It’s Winter Welcome from Samuel Smith’s Brewery. Winter Welcome pours a very clear amber gold colour with tons of cream coloured head on the initial pour; the head dies off to some lacing a little head. It is yeasty and a bit malty on the nose. First couple of sips are light bodied, malty and a bit funky from the yeast taste. As you drink the hops come into play making this a nicely balanced ale. Very clean tasting with not much happening on the finish perhaps a slight bitter taste. The character of this beer changes as it warms at times letting different flavours (malt or hops)come to to the forefront. At 6% Winter Welcome is a nice counter point to some of the bigger holiday brews out there but for me this one was a little to thin for a Christmas offering. I am giving Winter Welcome sis candy canes. Who (or where) Brews it Best? 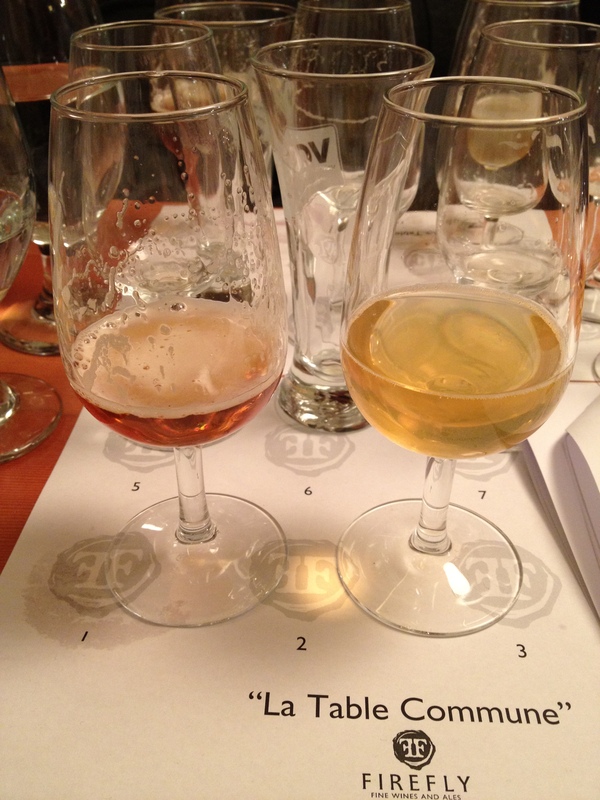 Tuesday night was fight night at Firefly Fine Wine and Ales as Lundy Dale from Pink Pints led a group of raucous beer geeks in a blind taste test to determine just where the best beer styles are coming from. Are European breweries with their distinguished pedigrees, years of brewing experience and matter-of-fact labeling making the best beers on the market? Or are the new-kids-on-the-tap North American microbreweries with their assertive ingredients, style bending combinations and cheeky labelling defining craft beer styles for future generations? Bohemian Pilsners are a type of pale lager that originated in 1842 in the Czech town of Pilsen. Pilsners are a bottom fermented beer, which means a bottom-cropping yeast is used to produce the ale at low temperatures. They should be burnished gold in colour with notes of caramel and spice. Pilsners are hoppy and bitter but clean drinking. This is one of those cases where a singular beer defines the style. For the blind taste test we sampled the grandfather of all pilsners Pilsner Urquell (Czech Republic) and Paddock Wood Brewing Company’s Czech Mate (Saskatoon). Belgian Tripels, or Belgian Abbey Tripels, are Belgian beers with styles similar to Trappist ales but brewed by secular commercial breweries. Generally, Belgian beers favour malt flavours over hoppiness and have a unique flavour imparted by the regional yeast strain. Tripels are malty, spicy and highly carbonated. They are strong and have a honey like sweetness with a dry finish. 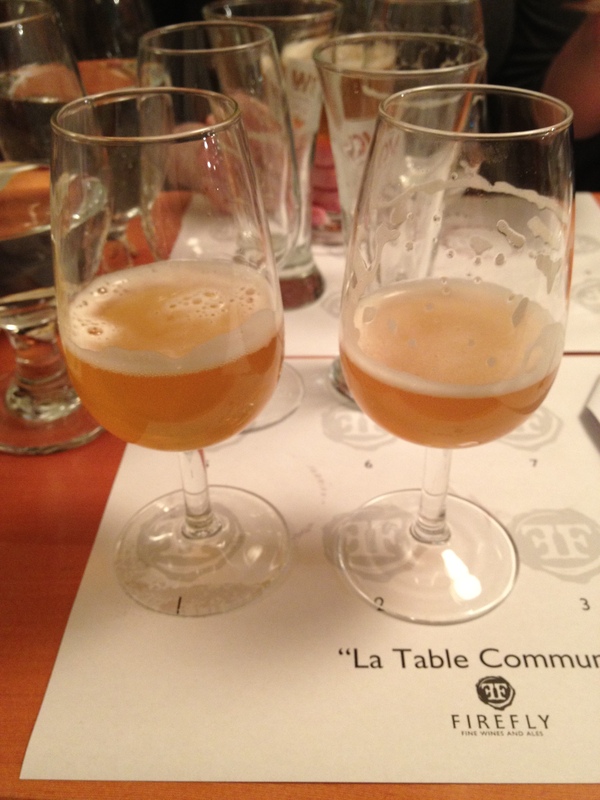 Our tasters were St. Bernadus (Belgium) and Unibroue’s La Fin Du Monde (Quebec). English India Pale Ales are very close to the bitter beer style but tend to have more substance with tons of malt character while still maintaining the UK hop profile. Descended from October beers brewed in the English country side. English IPA’s are nutty and spicy in flavour with a bitter finish. 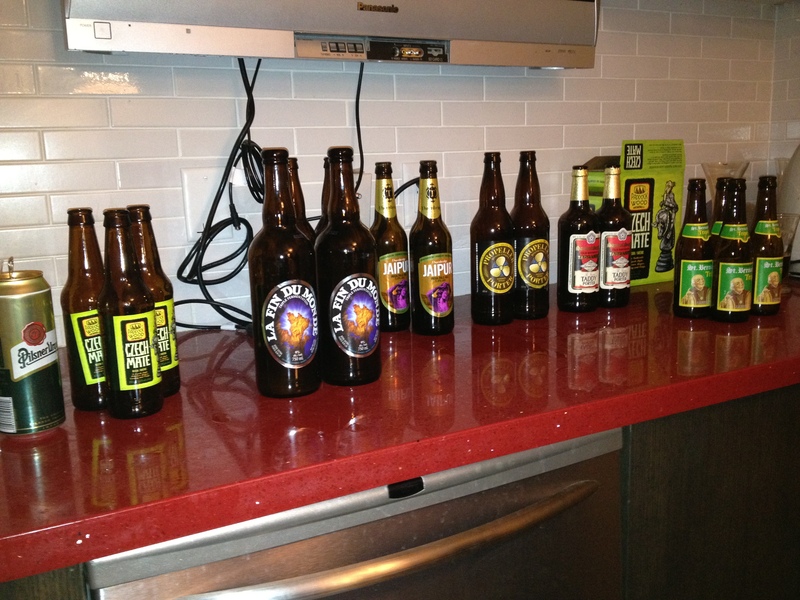 We tried Thornbridge Brewery’s Jaipur (UK) and Anderson Valley Brewing Company’s IPA (California). London Porters are dark brown beers with roasted malt character and subtle hops. A diverse and hard-to-define style, Porters are considered to be the first industrialized beers. I like to think of them as stout’s kid brother but since they came around first I guess Porter are more like stout’s frail grandparent; this is merely to say they are lighter in body and often lower in ABV than their robust stout offspring. Last up was Samuel Smith’s Taddy Porter (UK) and Propeller Porter from Propeller Brewing Co. (Halifax). It was not that easy to tell these beers apart in a side-by-side comparison, which speaks volumes about the overall quality of the craft beers being produced on both sides of the pond. Being a student of history and a fervent adherent to the adage ‘they don’t make em’ like they used to’, I assumed the European beers would be the exemplars of the styles with the North American brews being adequate representations BUT I was pleasantly reprimanded by the beers I tried. Particularly impressive for me was Unibroue’s La Fin Du Monde, which could pass for a ‘true’ Belgian without question. Another interesting surprise was Thornbridge’s Jaipur, which on appearance alone did not even seem like it belonged in the IPA family yet it had a strong hop profile and nice dry finish. A very informative and challenging event! 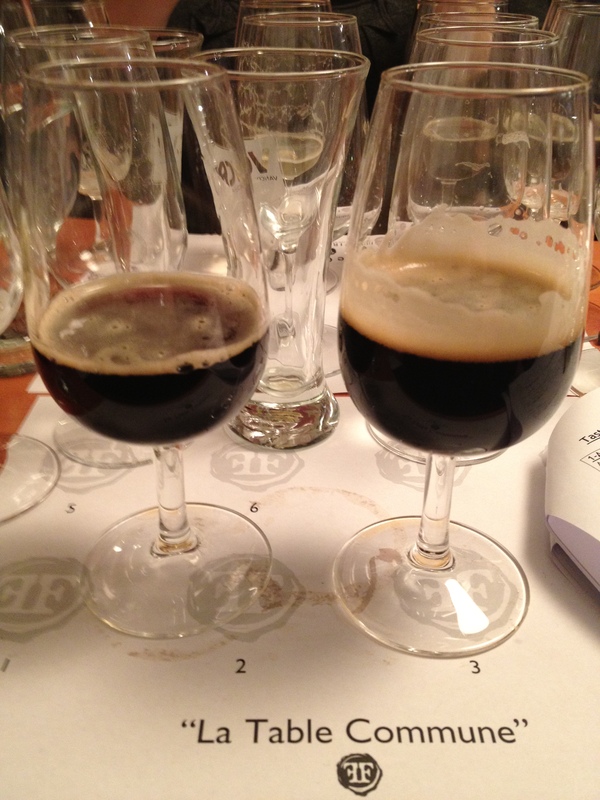 It’s time for another winter beer-off and this time I am putting two Porters head to head in a battle royale for that most coveted of distinctions – being named amongst the chosen few deemed to be superior winter beers on my blog (just kidding). This time around I thought I would revisit a couple Porters to see what works, what doesn’t work and perhaps even why one beer is a better ambassador for a style than another. Tasting two beers in the same style side by side, or a flight of beers, really improves your ability to articulate those elements that you enjoy as well as your ability to discern areas for improvement. Salt Spring Porter: Deep brown almost black ale with good clarity and a bit of carbonation. This Porter has an off-white head that sadly does not stick around for the party. Definite coffee-like nose. I say coffee-like because the nose reminds me of roasted coffee beans but not necessarily fresh ground beans; almost like coffee that has gone a bit bitter or has sat around for a bit. Not a ton of flavour in the mouthfeel, again the coffee notes dominate but I do not get much else. It is light in body and has that distinctive Saltspring taste. I am not sure what exactly gives this flavour but it reminds me of mineral water or artesian water and it imparts a really clean taste to all of the Salt Spring beers. This beer has a minimal finish just that same slightly bitter taste. Samuel Smith Taddy Porter: Night black ale that may have clarity but you cannot see anything through it to tell; perhaps no discernible sedimentation is the best conclusion I can draw. This Porter has a stiff mocha-coloured head that is definitely large and in charge. The nose is malty with a slight bit of coffee. This beer is light in body with some stickiness in the mouthfeel from the sweet malt. Excellent balance between the bitterness imparted from the roasted elements and the sweetness brought by the malts. There is a notable bitterness that lingers nicely on the finish. The Verdict? I have to go with the Samuel Smith on this one. Porters are like a fine art, there is not a ton of body to this beer style so the balance between bitterness and malts really needs to be spot on. At the same time the darkness of the beer speaks to the amount of roasted elements, which if left unchecked can become the sole taste dominating the beer. 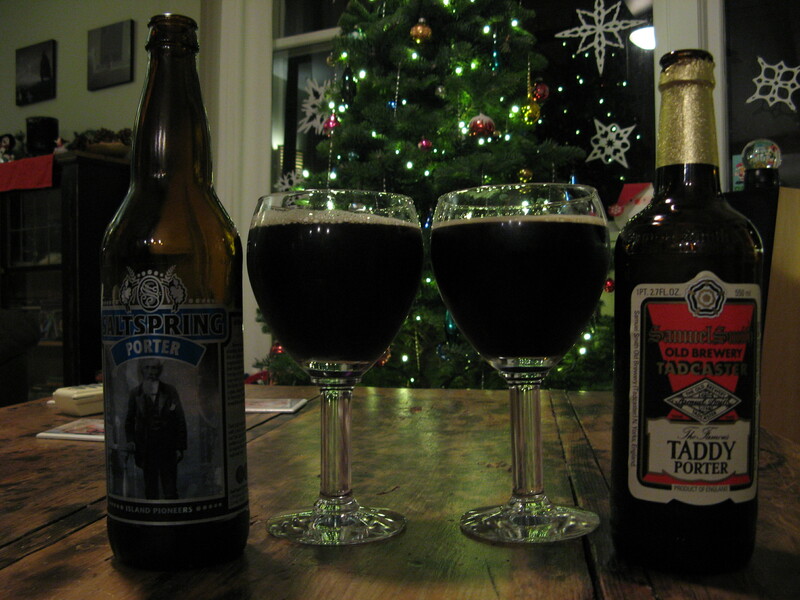 Saltspring Porter seems to be lacking in the balance so all you really get is the roastiness. Taddy Porter on the other hand seems to have found that elusive balance. Tough style to master I would think. I didn’t try blending the beers this time because I think the addition of more coffee elements to the Taddy would have been doing a disservice. It is a shame Samuel Smith’s is only brewing the Taddy Porter as a seasonal beer – go get it while you can! Samuel Smith Winter Welcome 6.0% ABV IBU 32 – This beer is clear and copper in colour with a nice cream coloured head. I get sour malt with a bit of apple on the nose. There is a caramel sweetness when drinking and a bitter hop aftertaste. It is smooth and well-balanced. Improves as it warms up closer to room temperature. Mission Springs Mr. Brown’s Mashed Pumpkin 8.0% ABV – This ale is golden amber with very little head. It has the most distinctive root beer nose I have ever encountered. Light in body but heavy in allspice/nutmeg/cinnamon. There is a bitter almost burnt finish. Howe Sound Father John’s Winter Ale 7.0% ABV IBU 17 – Amber to red in appearance with minimal head. I really get a floral (lilac) nose with sweet malt. There is a tinge of sourness to this beer, which plays off the heavy malts and spices. Also, a sherry-like quality. R&B Auld Nick Winter Ale 6.5% ABV IBU 18 – Deep amber to brown coloured ale with average head retention. There is a sweet crystal malt nose and a bit of molasses. A heavy bodied beer and you can really taste the molasses. Slight hop bitterness on the finish and a scotch element as the beer warms up. Samuel Smith Taddy Porter 5.8% ABV – A deep brown relatively clear beer with a large caramel coloured head. You get sweet caramel/malt, raisin and sherry on the nose. Christmas cake spices and sweet liquor dominate the mouthfeel. Very smooth and well-balanced. Vancouver Island Brewery Hermannator (Eisbock) 9.5% ABV – A deep amber to brown coloured beer with a small amount of head. Sweet malt is the dominate element on the nose. It is light in body, almost tepid, with a syrupy quality. Powerful liquor taste. This beer would cellar quite well. Howe Sound Pot-Hole Filler Imperial Stout 9.0% ABV IBU 65 – Deep black stout with a dark caramel coloured head on this ale. The nose is a mix of crystal malt and roasted barley. It is a very heavy and smooth beer with subtle coffee and molasses elements. Pike Old Bawdy Barley Wine 9-10% ABV – Clear and amber in appearance with a stiff ivory head. Malt is very present on the nose of this beer. It is smooth and dry with a fair amount of hop bitterness at the finish. 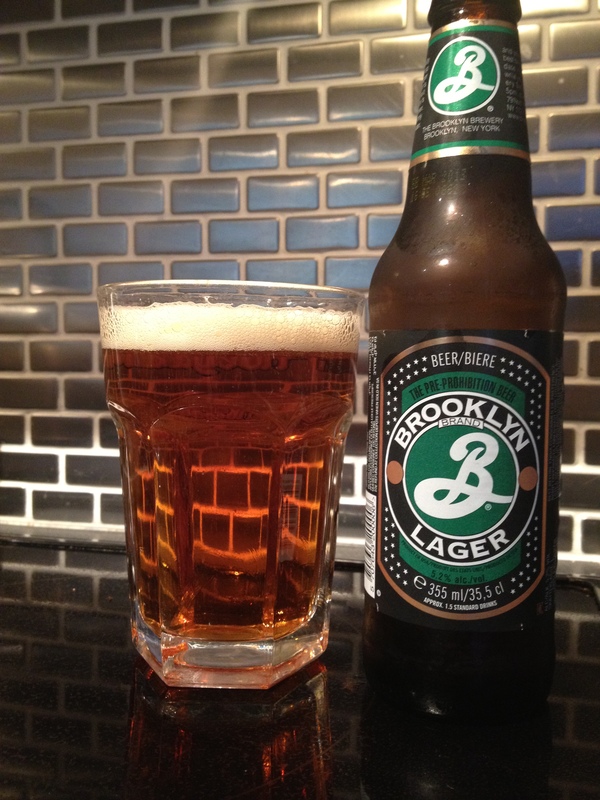 Brooklyn Monster Barley Wine 9-10% ABV – Similar in appearance to the Pike. You get a sweet malt nose and some liquor vapour as well. It is extremely well-balanced with no discernible bitter aftertaste. Drinks like a spirit. I think I took a proverbial leap forward in my evolution as a craft beer enthusiast when I enrolled in a home brewing course at the Vancouver Pastry School. In my mind, and probably only in my mind, there is a progression beer enthusiasts pass through on their path to enlightenment and it goes a little something like this: mass market beer drinker — dabbler in craft beer six packs — brew pub customer — partaker of craft beer singles — buyer of beer books — brewery visitor (for educational purposes) — beer blogger — annoying beer know-it-all — enlightenment ‘I think X beer could be improved by…’ home brewer. As a wise man once said, “Give a man (or gal) a case of beer and he’ll drink for a day. Teach him to brew and he’ll drink for a lifetime” (creed from Dan’s Homebrewing Supplies How to pamphlet). So over the next few posts on this blog I will be chronicling my experiences in the home brewing course and my very first attempt at making my own beer! First a bit about the course: It consists of three four hour sessions held on Saturday evenings. The timing of classes is designed to coincide with the course of the brewing process. The instructor is Adam Henderson certified cicerone, owner of Rain City Brands and home brewer extraordinaire so we are in more than capable hands. During the first session we learned the basics about equipment and ingredients as well as how to tell our IBU’s from our SRM and how to spell lovibond. We are making one beer in class and we were sent home with enough ingredients to make our own home brewing attempts. The six of us are working from the same recipe, an Extra Special Bitter/Strong Bitter (English Pale Ale), which is similar to Samuel Smith’s Old Brewery Pale Ale; we did a tasting to get a rough idea of what our home brew should turn out like. During the evening we went over the first steps in creating our beer: we steeped our grains, boiled our malt, added hops, sanitised countless apparatus, chilled our wort, transferred the beer from our kettle to our fermenter, pitched our yeast and measured our original gravity. It was all very hands on with everyone taking turns stirring, adding, sampling etc. Armed with knowledge, lots and lots of knowledge, I turned my attention to converting my own kitchen into a makeshift brewery. Since I am a super keener I headed right back into Vancouver the next morning to pick up my starter kit from Dan’s Homebrewing Supplies. I patiently waited out my work work and on Friday night it was finally time to give birth to my beer. I amassed everything I would need and got started on the first step, steeping my grains in the kettle. No problems here and I have some great leftovers for making dough. Next I added my malt and waited and waited and waited until it finally managed to come to a rolling boil. At this point I panicked and turned the heat down in case I over-boiled and somehow invited the apocalypse. In hindsight this was a really stupid idea since it took another eon for my kettle to get going again. A caveat here if you will: paying $19 for a brew kettle means that the pot will not be the most efficient heat conductor you will ever come across. The payoff at this point is the awesome burnt toast/sweet smell as the malt heats up. Sweaty but persistent I got that damn pot to boil consistently and added my 60 min hops; another great olfactory payoff here. At this point I felt like the end was in sight, the yeast was proofing away happily in its smack pack, I had a sink full of sanitizer and the timer was set for the addition of Irish moss and the final batch of hops. A couple of insights at this point; it is not necessary to hover over your pot the entire time, quite a bit of water will be lost to evaporation and don’t panic if everything doesn’t play out exactly like the neat and tidy diagram provided by your instructor. Now to the chilling part, which lived up to its name in more ways than one. Beg, borrow or steal (or make or buy) one of those copper pot cooler thingies and it will make your life MUCH easier; please just take the word of the girl who used every ice cube in a fifty mile radius and gallons of cold water to chill her wort. I got it done, it wasn’t pretty, but I got it done. After that it was time to put my wort in the fermenter, add the yeast, stand back and yell ‘let there be life’. Oh, I also used my hydrometer to measure the original gravity. Now she (my beer) is sitting in a cool area of the house happily bubbling away. Looking at the sweaty tired mess I was after, the yelling at my sympathetic partner and the heavy lifting I have to say it really did feel like I gave birth to something but what …stay tuned to find out. Forces out of my control, namely surgery, sightseeing and Stieg Larsson, have conspired against me and my blog resulting in an inexcusable absentia from any sort of posting regularity. Nonetheless now I am back and focused with a rather daunting amount of material to work through. 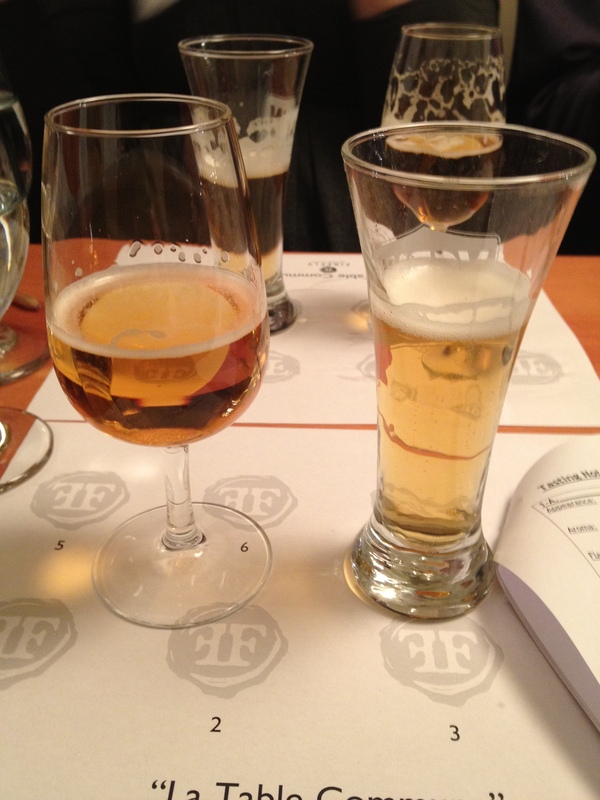 The first review I want to do is more of a synopsis of a relatively recent beer tasting night at Firefly Fine Wines and Ales. During this intro to craft beer session a smallish group of people learned about the beer basics from malts, to hops, to brewing processes and beer familial relations. This informative chat was followed by a sampling of eight different ales: Industrial Lager (the mystery mass produced beer), R&B Red Devil Pale Ale, Wells Bombardier Ale, Moylans IPA, Samuel Smith Nut Brown Ale, Dupont Saison, Cantillion Kriek, and last but definitely not least Brew Dog ‘TNP’. For the sake of brevity I will offer a few comments on each of the offerings. The industrial lager was your average ball park beer, you know the beer you get when there is only one option on the menu or when you are underage and some nice relative offers to go to the beer store for you, a somewhat watered down but drinkable bevie that you learn later bears little to no semblance to what the rest of the world considers beer. Though in all honesty it was fun to guess which ‘big box brand’ we were sipping –turns out my partner knows his crappy beers! Moving along, Red Devil was easy drinking crisp pale ale; I found it light on the hops compared to other IPA’s but this worked well for me. The Wells ale was more complex with many different flavours emerging from blended hops, to spices and caramel overtones. The cheat sheet described the next offering, Moylans, as provocative but I though it tasted a bit like lilac soap. This IPA was hoppy, a little too hoppy for me, but the other non-biased IPA lovers seemed to really enjoy it. I really liked the Samuel Smith and I did not think I would. The ale was a rich reddish brown hue and had a really nice nutty flavour with an apple aftertaste. The Saison is highly carbonated ale with definite floral tones and heavy sediment. Saison beer is a somewhat unique style and once you have tried one you will become a fan or not. I personally like Saisons but I enjoy unfiltered, lambic, gueze, unpasteurized etc. so this style suits my palate. Next up the Cantillion, now if you put Kriek on the label I am in so I may not be that objective here. The Kriek is a beautiful red ale that is tart and challenging -the notes mentioned barnyard aroma but I ignored that. 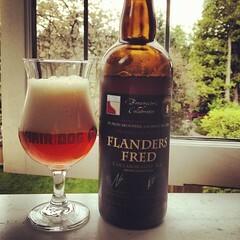 These types of beers cellar well and the longer the age the better the cherry flavour gets as it ferments in the bottle. The coup de grace of the evening was the tactical nuclear penguin a 32%, yes that is correct 32%, beer banned from its native Scotland due to concerns about the high alcohol content. We split one small bottle between twelve people and I could not have finished anymore than that, wow, this beer is one tough cookie it tastes and looks more like a scotch than a beer. It would be fantastic with a rich dessert since it has a slight butterscotch nose and is very rich. The TNP from Brew Dog rounded out our evening. The best thing about TNP was the story behind the creation of this beer and its successors Sink the Bismark and End of History which comes to you in a dead squirrel -yep a squirrel. Please check out their fantastic website for the story. Overall great night, lots of great beer and great company I think I will be back to participate in the sour beer tasting event.